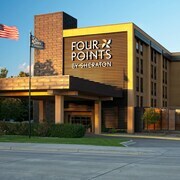 Situated near the airport, this hotel is 1.2 mi (2 km) from Mall of America and 1.5 mi (2.4 km) from Nickelodeon Universe. Sea Life Minnesota Aquarium and Crayola Experience are also within 2 mi (3 km). 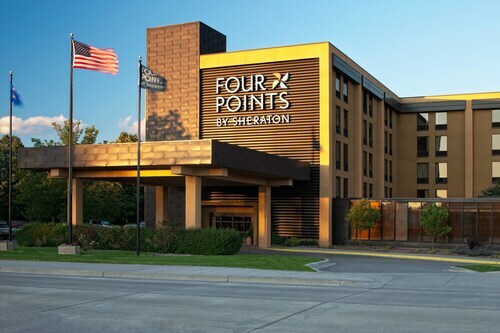 Situated near the airport, this hotel is 1.1 mi (1.7 km) from Best Buy Corporate Headquarters and within 3 mi (5 km) of Mall of America and Nickelodeon Universe. Rasmusseen College - Bloomington Campus and Sea Life Minnesota Aquarium are also within 3 mi (5 km). Situated in Richfield, this hotel is within 3 mi (5 km) of Best Buy Corporate Headquarters, Mall of America, and Nickelodeon Universe. Sea Life Minnesota Aquarium and Crayola Experience are also within 3 mi (5 km). The Sheridan House! Your Final Four Destination!! Situated in Richfield, this romantic vacation home is within 3 mi (5 km) of Best Buy Corporate Headquarters, Chain of Lakes, and Rasmusseen College - Bloomington Campus. Mall of America and Nickelodeon Universe are also within 6 mi (10 km). How Much is a Hotel Room in Richfield? Hotels in Richfield start at $67 per night. Prices and availability subject to change. Additional terms may apply. Hotel and apartment options are aplenty in Richfield. Enjoy browsing the 56 accommodation choices on Travelocity, which can all be found within a 6-mile (10-kilometer) radius of central downtown. People watch within walking distance of the heart of Richfield. 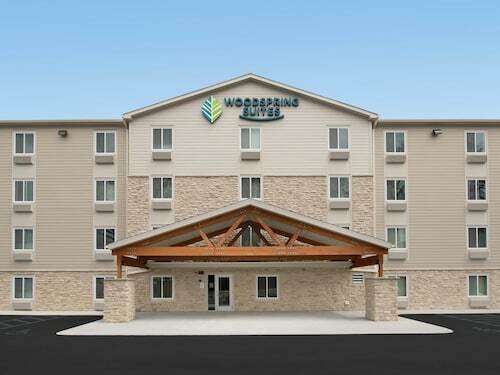 Accommodations in the district include Four Points by Sheraton Mall of America Minneapolis Airport and Candlewood Suites Minneapolis-Richfield. 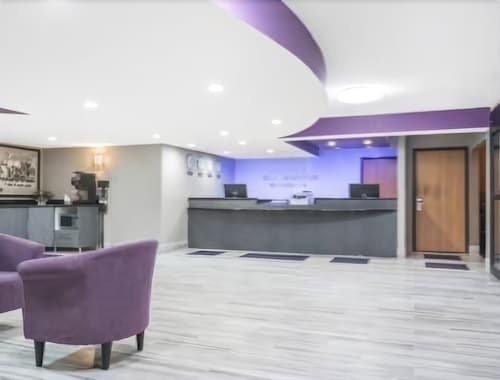 Richfield offers only a handful of budget hotels; you will find the AmericInn Hotel & Suites Bloomington East-Airport 2 miles (3 kilometers) from the town center. 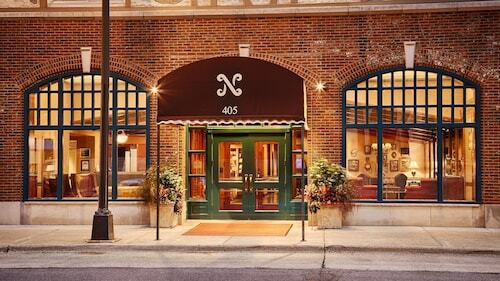 7 miles (11 kilometers) away from the heart of Richfield, you will find the Hotel Ivy, a Luxury Collection Hotel, Minneapolis. Alternatively, the Residence Inn By Marriott Minneapolis Downtown is approximately 7 miles (11 kilometers) away. You could also investigate the The Saint Paul Hotel or the Loews Minneapolis Hotel. 10 miles (16 kilometers) from Richfield, you will find St. Paul, home to University of St. Thomas and Hamline University. A few Travelocity-recommended St. Paul hotel options include the Holiday Inn St. Paul Downtown and Embassy Suites - St. Paul. 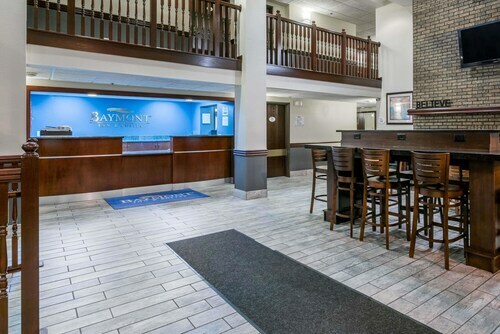 25 miles (38 kilometers) to the southeast of Richfield, you may also choose to stay at Hastings, which boasts the Nichols Inn of Hastings and Val U Stay Inn and Suites. While in Hastings, make sure you venture to the Alexis Bailly Vineyard and Carpenter St. Croix Valley Nature Center. If enjoying sport is the love of your life, don't forget to visit Xcel Energy Center, situated 10 miles (16 kilometers) to the northeast of Richfield. Anyone wanting to find accommodation in the area surrounding the stadium can choose from the InterContinental Saint Paul Riverfront or the DoubleTree by Hilton Hotel St. Paul Downtown. Minneapolis - St. Paul International Airport is a major gateway for arriving in Richfield. It is located 4 miles (6 kilometers) away. 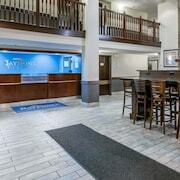 For modern travelers who would find it convenient to find a base nearby, book the Radisson Blu Mall of America or Embassy Suites by Hilton Minneapolis Airport.